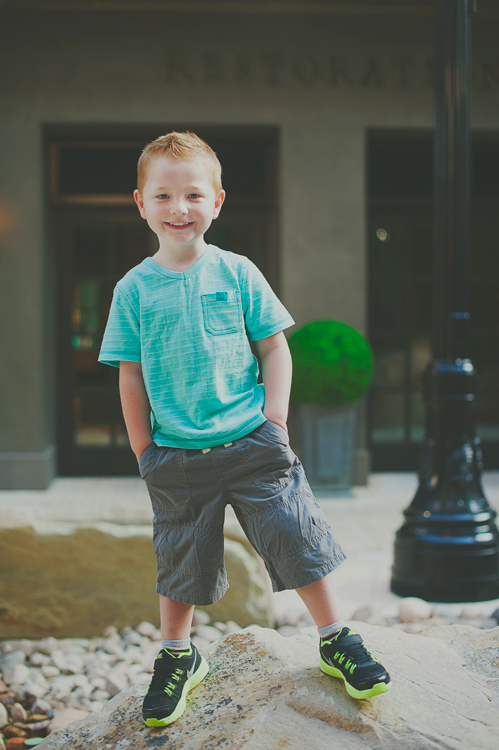 Posing kids is a whole different thing from posing models (unless you’re photographing a child model, and then you might not need this article). 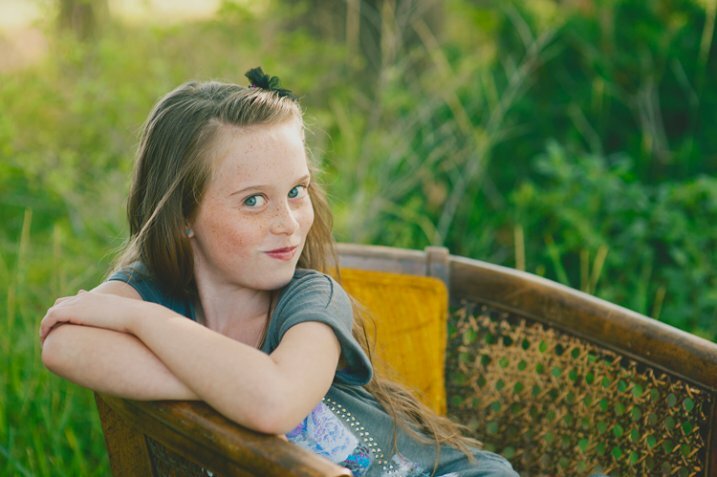 My biggest goal when capturing kids is to help them look as natural as possible, so truly I want to “unpose” them. Stiff, awkward, posed shots aren’t really what anyone wants, but I want to take this even a step further and talk about capturing kids’ true inner selves. Have you ever had a kid in front of your camera, and whatever you tell them to do ends up looking like the most unnatural position ever? Chances are, the kid is as baffled as you are. He doesn’t know what you want from him. He hasn’t been studying pinterest boards and kid’s clothing catalogues. He just knows his mom dressed him up and told him not to get dirty or mess up his hair, and now some stranger is telling him to put his hand there, look over here, bend his elbow like this. Most kids don’t understand this. 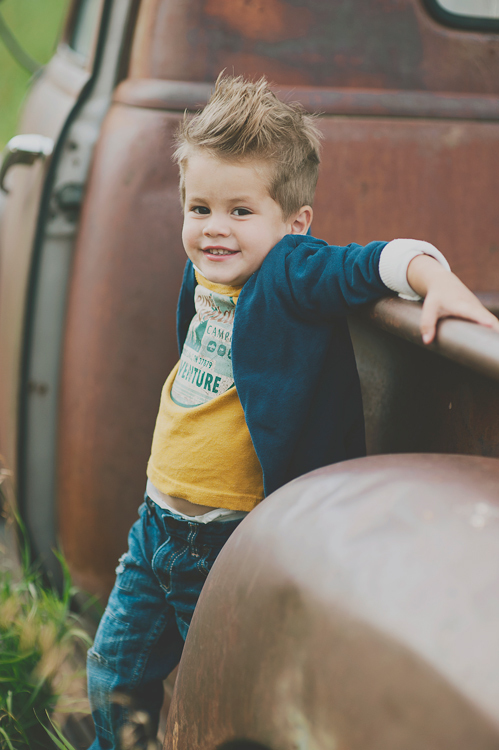 Let me share some unposing tips with you for helping kids to be more nature, so you and your little model can get some great shots! If you can just let a kid be themselves, and explore, sometimes the photos you get can be more adorable than anything you could think up yourself. Part of each session could be unstructured, no posing direction, kid-led, fun. 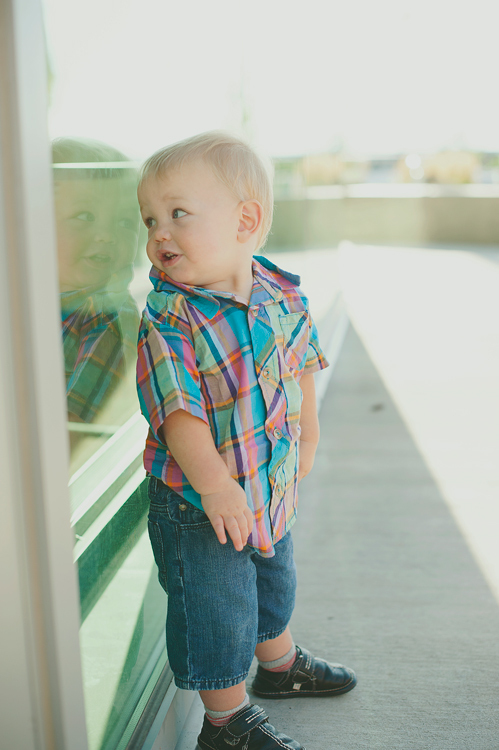 Photos like the above could happen all on their own, or if the child is shy, you could ask them, “What’s in that window?” Make picture time into play time, and let kids be themselves. Some props can be good, but sometimes they just add to the chaos, and you end up with a lot of canned, posed photos. 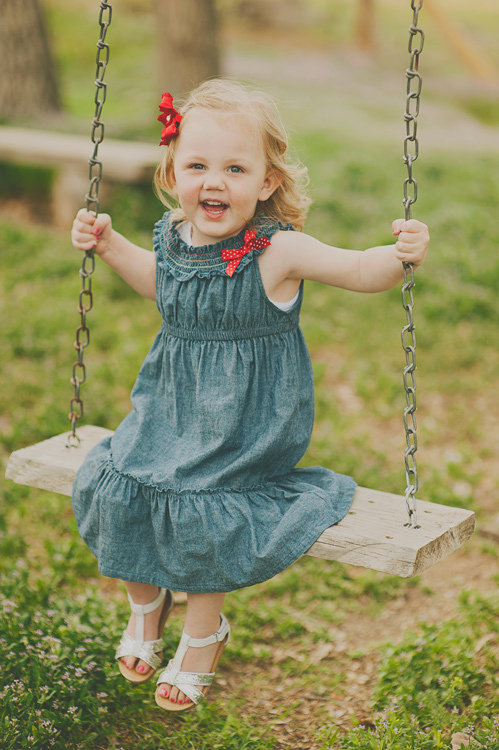 I love kids’ cute faces, and that’s what I want to be the main focus of my photos. Don’t stress too much about making everything around the kid amazing. Like I said, kids don’t need much help to be adorable! Sometimes kids are nervous and anxious about getting their photos taken. 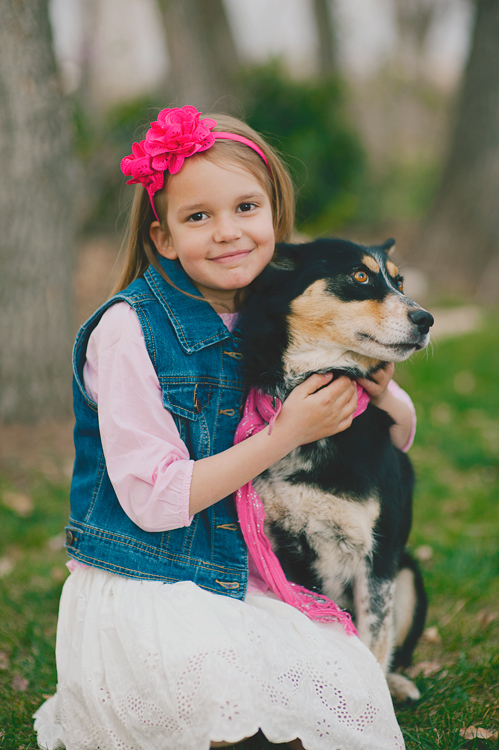 Letting them take a few photos with a beloved pet, favorite stuffed animal, or even Mom or Dad, can really help relieve the pressure, and help them feel comfortable. 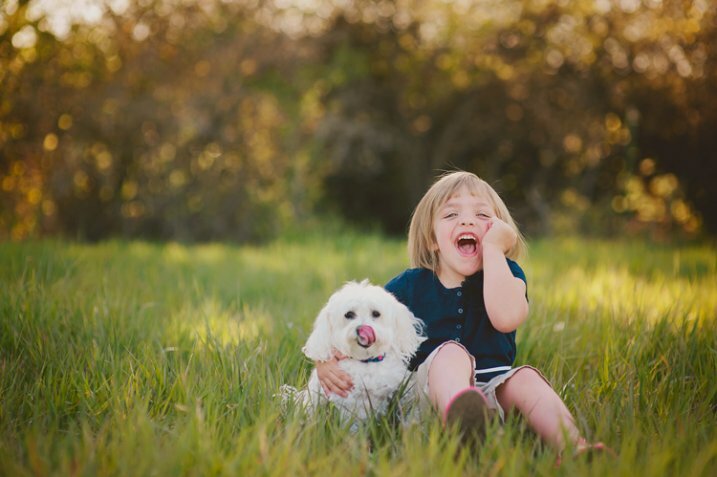 Sometimes the most spontaneous laughs, the happiest smiles, and the most relaxed poses, just happen when they’ve got their buddy with them in the photos. Adding a live wiggly friend can add extra work to getting a photo, but the payoff is often worth the work. Have Mom or Dad help you keep the pet under control, and be quick. Encourage a lot of interaction, and be ready for anything! Kids aren’t going to be patient with a lot of posing cues and tweaks. You can give general direction, and then shoot fast. You could give some quick commands, “Now laugh at the silly caterpillar on my head!”, but don’t take a long time moving their arm just so, or turning their heads just so. Most kids won’t respond well to that, and will quickly tire before you get any good photos. Have your camera on a fairly fast shutter speed (I like mine at least 1/100th for kids), because they’re not going to hold very still for very long. Could you come sit on my swing over here? Oh, you are so big! I didn’t know you could climb that high! Can you sit here, criss-cross-applesauce? (Or whatever they call sitting cross-legged. You can ask them what they call it. Most kids learn this in preschool). Let’s hug our freezing cold knees. Your knees say, thank you very much! Where’s your tickle smile? Do I need to find your tickle smile? Is it hiding in your armpit? Do you think you would be brave enough to stand on this rock? Whatever you do, don’t smile. No, I said don’t smile! (Classic reverse psychology). Where should we put your hands? We should put them away somewhere. Do they like pockets? Could you hold this tree up with your back? Oh, thank you! That tree was getting tired of standing up by itself! Let’s play copy-cat. Whatever I do, you do it too. Some kids love silly, others are pretty shy. Pay attention to how they react to you, and adjust accordingly. If they’re really rambunctious, you might want to dial down your silly a bit so you don’t get them too wound up. You can still have fun with them, but talk in a calm voice, and don’t ask them to do too many crazy things, because they’ll take what you say and bring it up a notch or two. Before you know it, you’ve got a kid running in circles that isn’t listening to a word you say. If they’re really introverted, you might want to try to capture more serious photos, and let them be contemplative. Don’t ask them to do things they are obviously uncomfortable with. When they’ve warmed up to you a bit, you may be able to give more requests, but really pay attention to the cues kids are giving you, and focus on capturing who they are, not the canned five poses that you do with every kid. I would love to hear your tips for getting great unposed shots of kids! What are the fun things that you say to coax a smile? How do you get their attention, and make photo time fun? 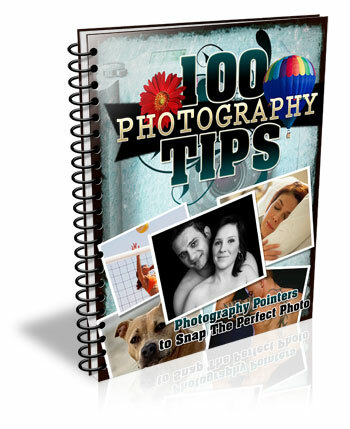 Check out Portrait Posing Tips- How to Help People to Relax and Take Better Photos for more in the posing series. 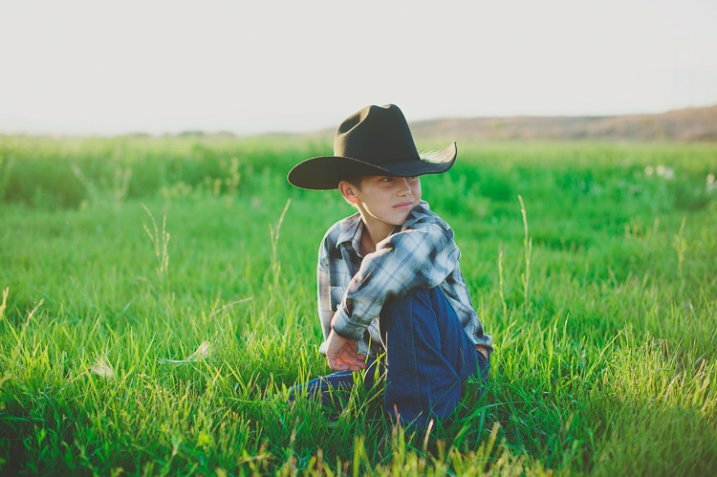 The post 5 Unposing Tips for Kids for More Natural Photos by Melinda Smith appeared first on Digital Photography School.